In countries such as Canada and forty+ countries under ECE regulations Daytime Running Lights (DRL) are required by law. Although a safety device, DRL's are not required by the DOT on cars sold in the USA. That means if I wanted DRL's it was up to me to remember and turn my lights on during the day. Being a bit on the lazy side I decided to install real DRL's after two years of driving with my FOG's on. 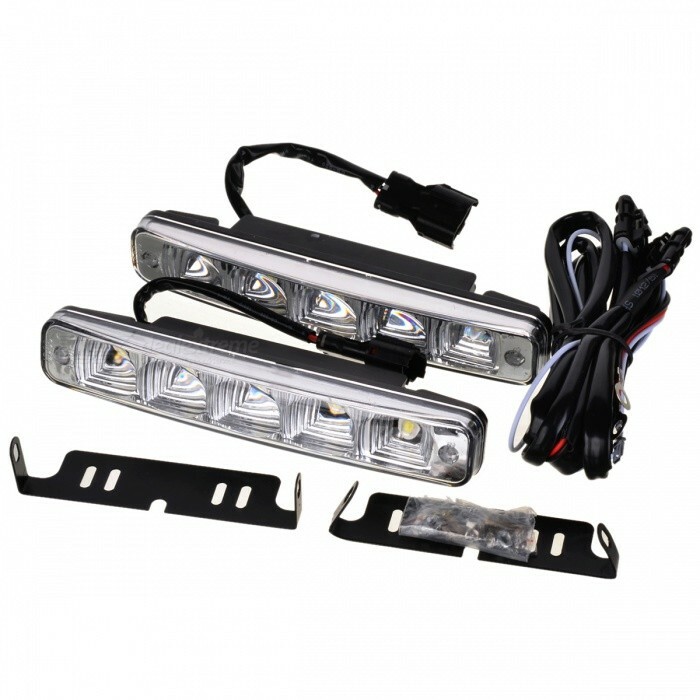 After shopping around I chose a set of 5-LED DRL's with European (E-Code) certification. After removing the carpet and lower dash panel it was time to start the wiring. A recent posting on an MB forum introduced me to the X30 power connector. So on a recent trip to the You-Pull yard I collected a few donor connectors and cable. The DRL's are connected to pin 2 of the X30 connector. That means they are 'ON' anytime the key is in position 2 (aka: run). Being LED's the power draw is minimal and typically anytime the key is in position 2 the engine is running. The goal was a 100% automatic / hands off solution. A rubber plug beside the brake pedal was chosen for a way to route the wires through the firewall. The new wires were routed along with the existing wires making the in-line fuse easily accessible under the hood.